Climate change, pollution, scarcity of resources, population growth and ageing societies compounded by the rising economic activity of newly industrializing countries will challenge sustainable development – and impact investment performance. 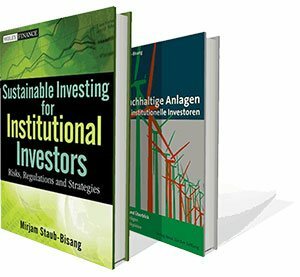 A significant body of research bears the proof that the consideration of sustainability criteria in the investment process improves long-term investment performance – while benefiting society. Pragmatic Sustainable Investing is our market-oriented answer to address these challenges and megatrends of our times. No ideology, no vote for intervention or regulation, Pragmatic Sustainable Investing offers long-term investors intelligent decisions about protecting their assets and seizing investment opportunities. 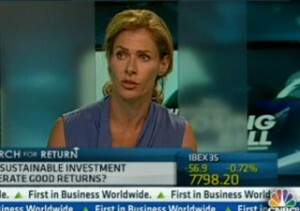 What is Pragmatic Sustainable Investing? With our approach of Pragmatic Sustainable Investing we strive to maximize long-term risk-adjusted investment results by integrating sustainability criteria in the investment process across asset classes, free from ideologies. Sustainability criteria relate to environmental, social or governance issues such as waste of natural resources, energy efficiency, pollution, labour conditions or corruption and the related risks and opportunities for corporations and governments. Our risk assessment focuses on indemnity, reputation and policy risks and the related financial consequences. Opportunities address megatrends such as growing populations in the developing vs ageing societies in the Western world, urbanization and resource efficient technologies. We are pragmatic in our approach, as we understand our first and foremost responsibility to maximise long-term risk-adjusted returns for our clients. We base our investment decisions on rational considerations and reliable third party research data, rather than ideology. We do not believe in excluding sectors for purely ethical reasons, but we may avoid or disinvest from certain industries based on our assessment of material sustainability risks. That is why we do not see sustainability as an ideology, but rather as a logical consequence and rational answer to the environmental, social and governance challenges of our time.